First Bite: Aka Bistro in Lincoln, Mass. Formerly a dining dead zone, Lincoln gets two sparkling new restaurants in one. By Amy Traverso·	 5/24/2010, 3:07 a.m. Anywhere other than Lincoln, A French bistro/sashimi bar might seem ill conceived — ridiculous, even. Only here could the formula not only succeed, but actually make sense. Maybe it’s the suburb’s culinary climate — or, more precisely, the lack thereof: There hasn’t been a fine restaurant here in decades. 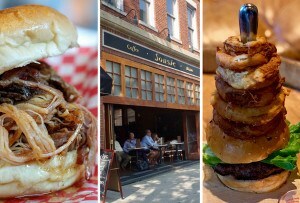 Now its residents have, in effect, two places worthy of a night out. On one side, it’s a bistro larded with moules frites, escargots, and duck confit. On the other, there’s a roster of raw fish paired with exotic toppings like yuzu foam and prosciutto dust. No matter where they sit, though, patrons can dine from either menu. The combination works, not just in its two-for-oneness, but also because of Aka’s backstory. Its principals, Chris Chung and Christian Touche, met when Chung headed Boston sashimi bar Uni and Touche was GM of French sister restaurant Clio. Chef de cuisine Christophe Santos, who most recently opened Provençal bistro La Voile, completes the troika of Chrises. The result is impressive, and not just for a restaurant-starved suburb. Santos has a surgeon’s hand with French delicacies like seared scallops with braised endive, and an asparagus-and-arugula salad that tastes like spring itself. True to bistro tradition, he fries a mean frite and sears a crisp skate wing, and his team is fired up about getting produce from local farms. Also true to bistro standards, entrées stay below $30. 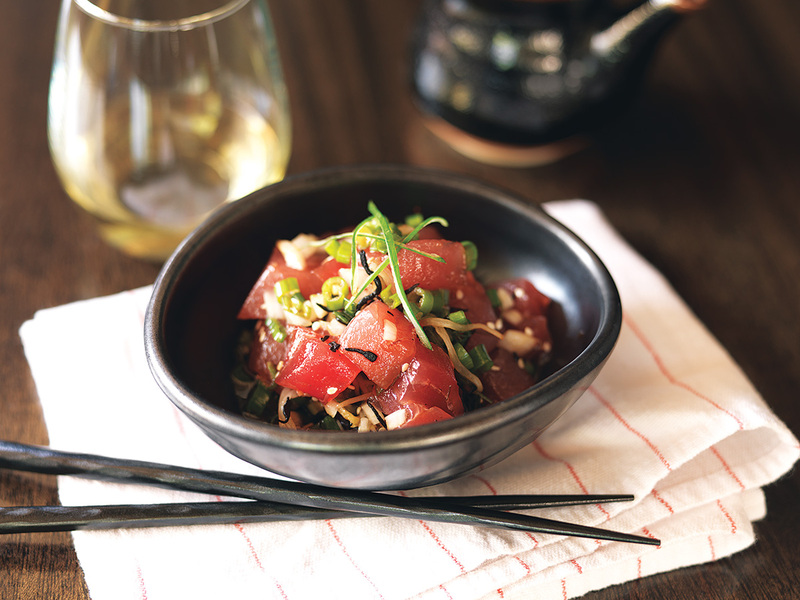 On the sashimi side, Chung creates jewel-like bites such as hamachi with sea grape and ginger vinaigrette, and a fantastic Hawaiian tuna poke. There’s plenty of imagination, but Chung knows when to back off and let the fish’s flavor come through. That’s not to say there aren’t any misses. One recent pork chop arrived as dry as sawdust, and the signature frog’s legs had an unfortunate stringy wetness to them. But then, frog’s legs aren’t my thing. Aka Bistro is my thing. With clean lines, muted tones, and a communal table by the kitchen, it looks like it could be any chic city bistro. But it’s awfully nice to step outside after dinner and take a deep breath of fresh air. 145 Lincoln Rd., Lincoln, 781-259-9920, akabistrolincoln.com.